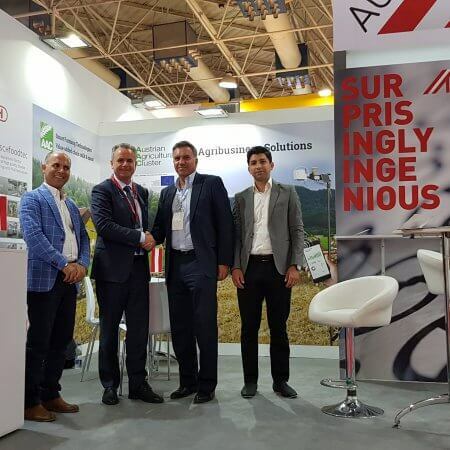 The 25th International Agricultural Trade Fair iran agrofood 2018 took place between 29 Jun. - 2 Jul. 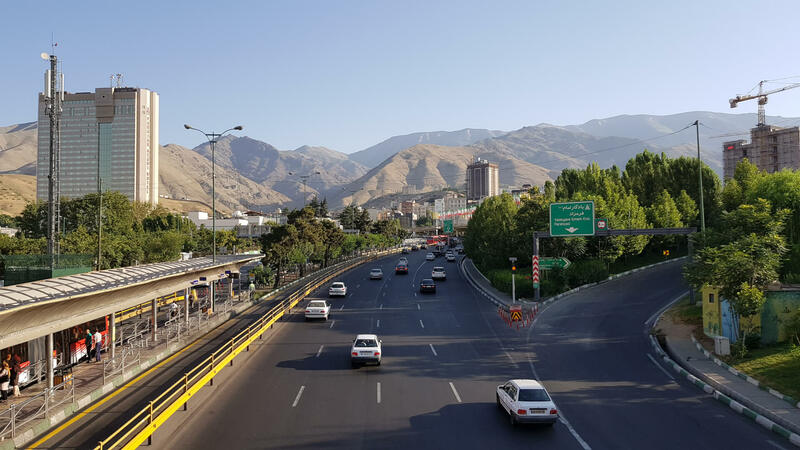 in Tehran. The fair is organized by German fair specialist fairtrade and its Iranian partner Palar Samaneh. 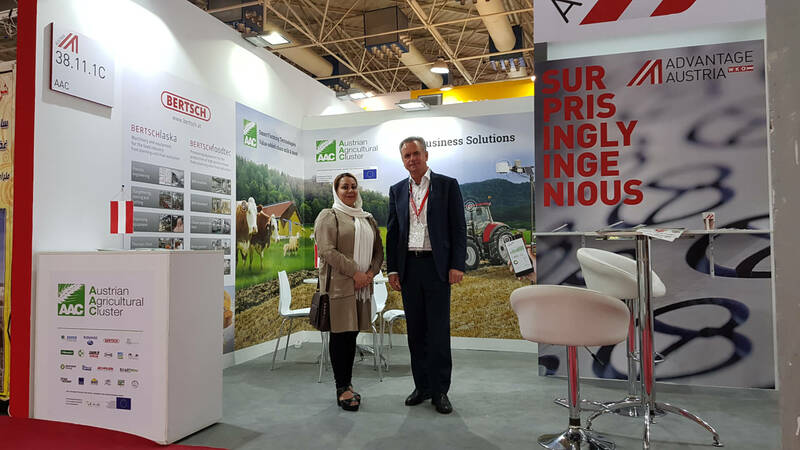 iran agrofood consists of 5 partial exhibitions along the entire value chain: iran agro, iran food + bev tec, iran bakery + confectionery, iran food ingredients and iran food + hospitality, exhibiting technology and know-how from farm to fork. 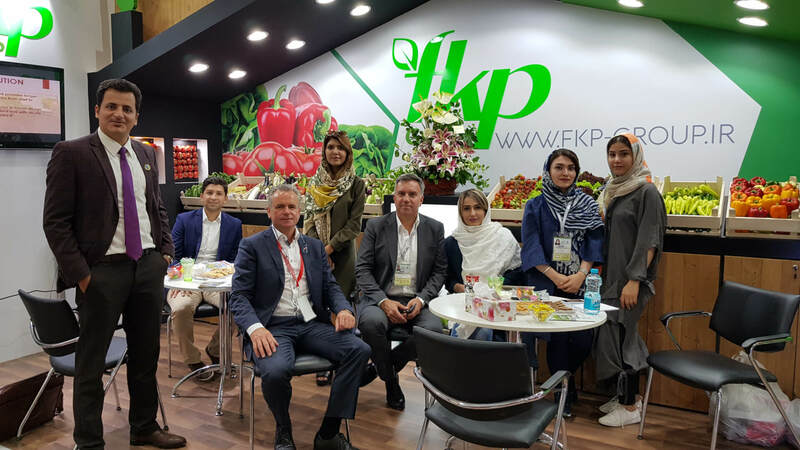 A total of 1,118 exhibitors from 29 countries, including 25 official country pavilions, participated in the iran agrofood 2018. 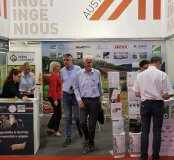 Austria was prominently represented with a national stand organised by the Advantage Austria office Tehran. 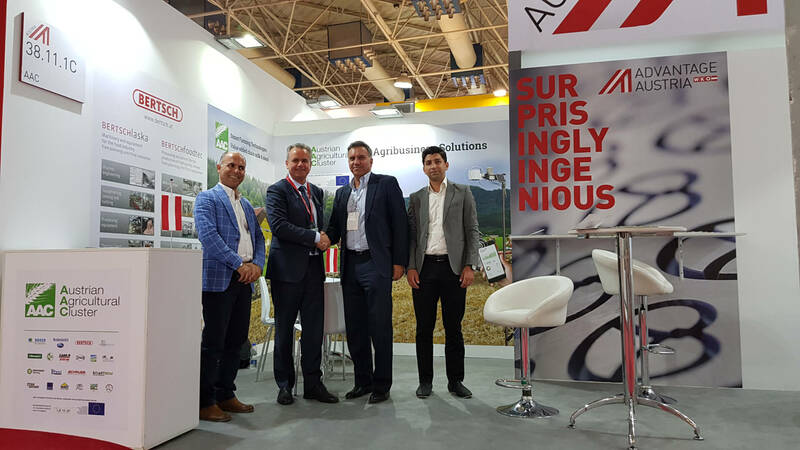 More than 40.000 visitors were welcomed at this jubilee edition of iran agrofood. 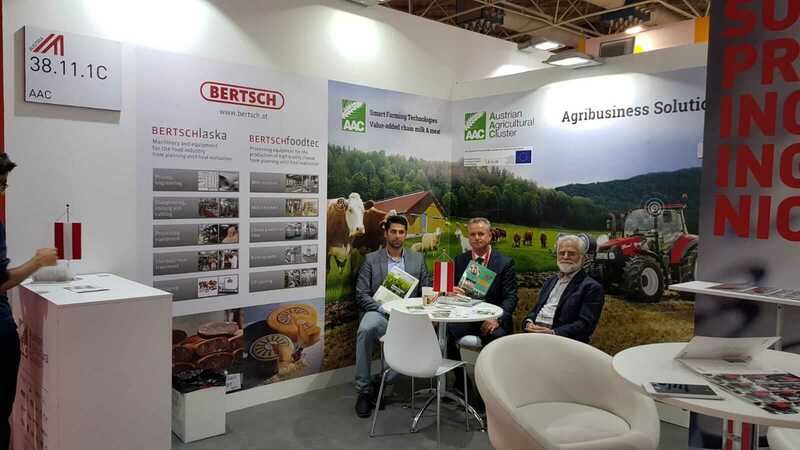 Austrian Agricultural Cluster participated in the iran agrofood 2018 fair within the National Exhibition of Austria, together with member companies Bertschfoodtec and Bertsch-Laska. 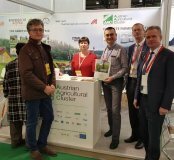 AAC presented integrated solutions for smart farming (precision agriculture and precision livestock farming) and technologies for milk & meat processing. 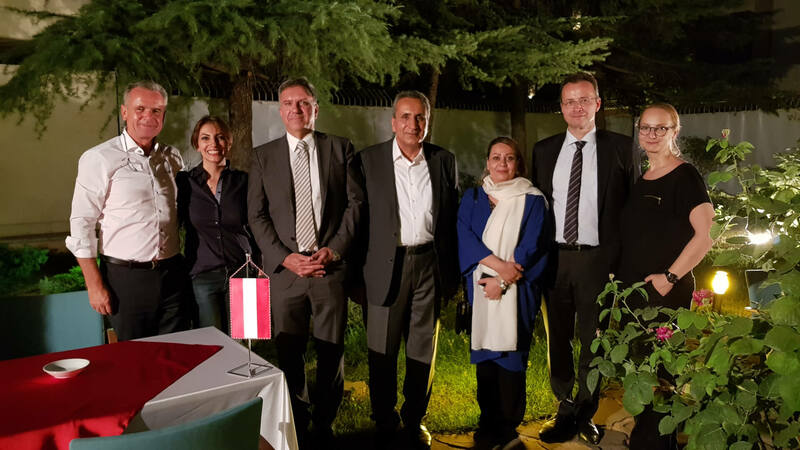 On the occasion of the fair, Dr. Christoph Grabmayr, Austrian Commercial Counselor in Tehran and Ms. Johanna Breinesberger, Deputy Commercial Counselor, invited the exhibitors and their Iranian business partners to an information and networking event at the Foreign Trade Center Teheran. Mr. Grabmayr briefed on the current state of the impact of US sanctions and discussed potential further developments and consequences for the Iranian – Austrian business relations.